So it begins! SapphireNow has officially kicked off, now we can look forward to the next few days living and breathing SAP’s latest and greatest tech. As always, in electric fashion, Bill McDermott opened the SAPPHIRENOW event as the first key note speaker covering numerous topics such as SAPs current product state of play and the future of not only SAP, but how AI will contribute over $16 trillion to the economy by 2030. However, this wasn’t even the biggest announcement, Bill, alongside Alex Atzbeger (Head of SAP Hybris), detailed the release of SAP’s new CRM, SAP C/4 HANA. That’s right, following recent acquisitions of Hybris, Gigya and CalludusCloud, SAP is going back to basics in CRM, which will support all front office functions such as consumer data protection, marketing, commerce, sales and customer service. The focus behind the product? To give power back to the customers. As Alex announced, consumers are people, not sales opportunities and sales teams are people too. Customers are done with creepy... so don’t be creepy. The new C/4 HANA portfolio includes SAP Marketing Cloud, SAP Commerce Cloud, SAP Service Cloud, SAP Customer Data Cloud and SAP Sales Cloud. The new suit will offer full integration with SAP’s leading cloud ERP, S/4 Hana as well as a features new machine learning capabilities from SAP Leonardo. 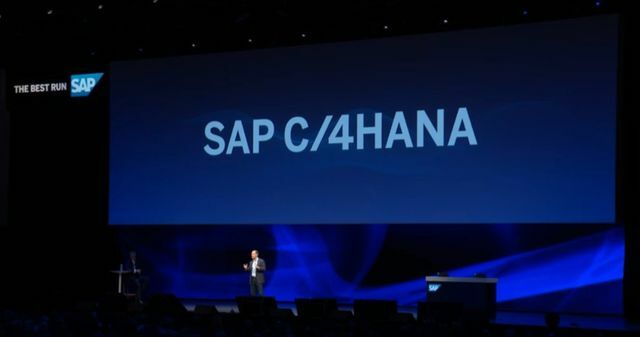 This move by SAP will help them compete with SalesForce on all fronts, and it will certainly be interesting to see how C/4 HANA develops and whether it can live up to the task. “SAP was the last to accept the status quo of CRM and is now the first to change it,” McDermott said. “The legacy CRM systems are all about sales; SAP C/4HANA is all about the consumer.